For the past several years, winners of TBF’s International Tag & Release Competition blue marlin categories have all come out of Cape Verde and it is certainly one of the top places in the Atlantic Ocean to catch one of its top predators. Each year this small chain of islands off the west coast of Africa draw some of the biggest and best names in the sportfishing arena. The number of blue marlin and their sizes in Cape Verde make it a special place, a great fishery and an important place for TBF to recognize. For 2016, TBF is introducing the Cape Verde Regional Tag & Release Competition that creates another locality in addition to its year long International Tag & Release Competition. 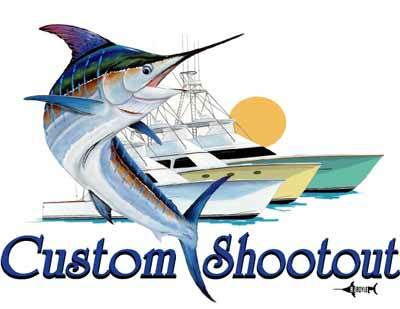 Award categories are only for blue and white marlin and only these species will count toward overall award categories. Awards by species and overall will also be split into Private and Charter categories to recognize and give more chances for both kinds of boats to compete. COMPETITION DATES: November 1 – October 31 of the following year. DEADLINE: All Tagging Data Report and Release Notification Cards must be received by TBF no later than November 15th, whether via mail or online at www.tagbillfish.org. 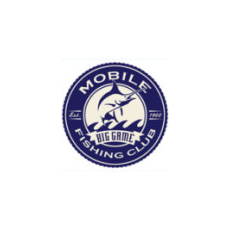 ELIGIBILITY: Anglers, captains and mates MUST be a current TBF member to receive an award based on their submitted Tagging Data Report and Release Notification Cards. Regardless of membership, all data from every card is valuable for billfish research and membership is not required if you wish submit your tag & release data from anywhere in the world. You can check your membership status or join TBF by calling (954) 938-0150 ext. 106. If you have registered with our online tag and release database, you can see if your membership is current in your profile page and join or renew at www.billfish.org. Charter captains must have a valid captain’s license and all necessary licenses for a documented charter vessel. Tags must be deployed on the same vessel in order to be counted for charter categories. Overall tag and release categories are calculated as the total number of eligible species reported tagged and or released by a captain or angler. ELIGIBLE SPECIES: Only blue marlin and white marlin are eligible species and categories. 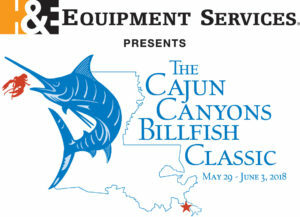 Overall winners will be the angler or captain that tags or releases the greatest number of eligible species combined for the respective category. 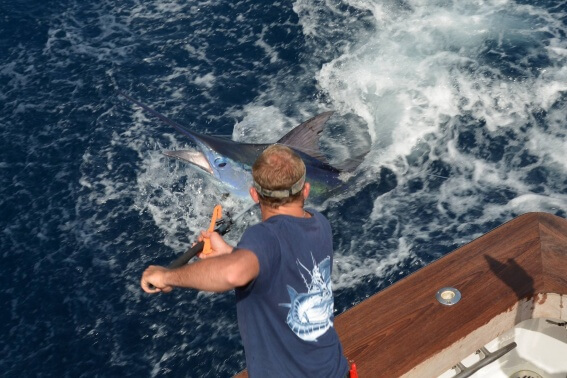 IMPORTANT NOTE: Cards should be submitted to TBF as soon as possible or entered online at www.tagbillfish.org after tagging or releasing a fish. If you wait until the end of the competition year to send your cards, you run the risk of not having your cards reach TBF by the deadline. TBF also reserves the right to disqualify any participant if circumstances indicate there is reason to question reports. TAGGING – Captain and Angler Awards are presented to those who tag the most billfish of each species within each category after having met the 5 fish minimum. RELEASE – Captain and Angler Awards are presented to those who release, without tagging, the most billﬁsh of each species within each category after having met the 5 fish minimum. PLEASE NOTE: For the categories listed to the above, ﬁsh that are tagged and released are NOT counted in the Release Category. These ﬁsh are only counted in the Tagging Category. Any records submitted for eligible species tagged and or released on a registered charter boat are only eligible for charter captain and charter boat categories. Charter captains must have a valid captain’s license and all necessary licenses for a documented charter vessel. Tag and release must be deployed on the same vessel in order to be counted for charter categories. Any tag or release records for billfish caught during a non-for-hire trip, but on a registered charter boat, are only eligible for charter categories. Proper documentation and proof of charter status must be presented if requested by TBF. Awards are presented to youth anglers who tag and/or release the most billfish of any species within each age category after having met the minimum of 3 fish. Categories include: ages 8 & younger, 9-10, 11-12, 13-15 and 16-17. (Please note: To enter the competition all youth anglers MUST write in their date of birth next to their name or in the space provided, or if reporting via tagbillfish.org please include date of birth when creating user profile.) Youth anglers must be active TBF members to win. Awards are presented to the female anglers who tag and release the most billfish. TBF recognizes the valuable contribution of mates in both the release and tagging of billfish through TBF’s Mate Recognition Program, a cumulative, on-going program that awards mates with a pair of Costa Sunglasses and a plaque for his or her level of achievement. The post-release survival of billfish is vital and TBF urges that proper tagging procedures are used when tagging any billfish to ensure safe, healthy releases (see TBF’s Tag & Release Program brochure for more information). Improper tag placement, ‘speed tagging’ or using too much force when tagging can result in serious injury or death to the fish. For this reason TBF does not encourage tagging during tournaments. However, if a boat chooses to tag any billfish during a tournament they will be counted toward any applicable regional competition as well as the International Tag & Release Competition. All participants are encouraged to see TBF’s Tag & Release brochure for information on safe handling and proper tagging procedure.